Unlike brand name products, commodities are goods that have a universal price around the world. Gold, for example, has the same price per ounce in Brazil and Bombay, whereas the price of a toaster oven or even a T-shirt varies depending on the brand and the place in which it is sold. Commodities are not strictly limited to so-called ‘pure’ elements like gold. A commodity can be refined from a raw element, as oil is refined from petroleum. A commodity can also be mined directly from the Earth, such as a metal, or it can also be an agricultural product, like eggs. In some cases, a commodity can be an abstract financial tool that is universal, such as the fluctuations in interest rates. Because commodities can take so many different physical forms, the financial market classifies them as a group based on their universal value and how they are traded. However, commodities trading is not limited to simple exchanges. An entire set of complex trading rules, including speculation on so-called “futures,” keeps the market active. How big are the biggest trading houses? Put it this way: two of them, Vitol and Trafigura, sold a combined 8.1 million barrels a day of oil last year. That's equal to the combined oil exports of Saudi Arabia and Venezuela. 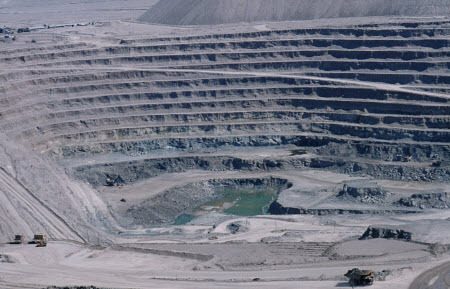 Glencore in 2010 controlled 55 percent of the world's traded zinc market, and 36 percent of that for copper. Additionally, the expansion of the category of commodities to include more abstract objects like interest rates is a relatively recent addition. Historically, commodities were based on ordinary, tangible goods that could be easily visualized by the layperson. The expansion into this new territory reflects the growth and ambition of the increasingly globally integrated financial markets. Because there are now more participants in the global markets, the desire for ‘new’ financial territory has encouraged the expansion of the commodities market. Because they are not based on the profits or business strategies of any one company or nation, commodities can make good, steady investments. Gold, for example, is a commodity that will not disappear any time soon, whereas stock in a large car company may or may not exist in another hundred years. Additionally, varied asset allocation allows an individual to spread out their financial portfolio. By differentiating the types of investments, an investor stands to greatly reduce his or her risk of suffering a major financial wipe-out, as every sector of the financial market would have to completely collapse to destroy their investment portfolio, a scenario that would undoubtedly be the end of society as it is currently known. In the 2008 financial collapse, for example, several major institutions went bankrupt due to faulty business practices. Stockholders in these institutions lost money. However, the commodities market is largely immune to collapses of this type. By its very nature, a commodity is not ‘owned’ by any one entity. Commodities can therefore provide a reliable source of income for an investor who has spent time carefully considering what commodity he is buying, when he is buying it, and at what price he plans to sell it. For those investors who are unfamiliar with commodities, or who are buying into the market in order to differentiate their portfolio, there are several different ways to invest in the commodities market. There are commodities indexes, commodities exchanges, and numerous types of contracts and buying options which allow a savvy financial investor to make considerable amounts of money based on the expected performance of a given commodity. As with any financial venture, extensive research is a definite pre-requisite to investment. Despite their inherent durability, there are different risks involved with investing in commodities, especially when one considers the different aspects of the initial investment, the type of loan or margin at which the commodity is purchased, and in some cases, the nature of the commodity itself. Although market forces do not impact commodities in the same way they impact stocks, they do play a role. 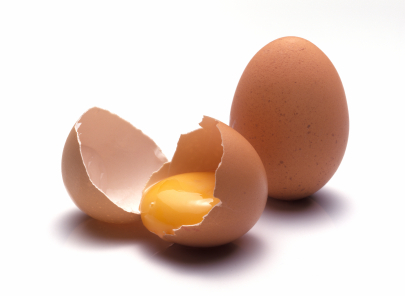 If an investor has allocated a significant portion of his portfolio into eggs, for example, and a biological blight renders an entire month’s supply of eggs unusable on one continent, the difference between the expected performance of the commodity and the dismal reality will cause that investor to lose substantial amounts of money, depending on the types of contracts that investor has secured. However, this is not an automatic loss for the investor. Consider the following scenario. If the biological egg blight occurred in Europe, but the investor had invested in unusually high demand futures in the United States, the investor would actually reap enormous profits from his investment when Europe’s lack of supply forced the continent to import eggs from other countries. Europe’s significant demand would bolster egg prices in the United States, thereby dramatically increasing egg performance over standard industry expectations. Of course, this scenario requires unusual acuity and luck on the part of the investor. Consider the reverse scenario, which is just as likely. This same investor has invested in high egg supply futures in Europe. When the blight occurs, the supply drops astronomically. Should the investor have purchased futures, as opposed to options on this commodity, he will be required to sell his futures at a pre-appointed date for an agreed value. When he attempts to sell his high European egg supply futures in a climate of enormous demand, he will lose a tremendous amount of money because the market simply does not match the anticipated futures. In each case, there is really no way for the investor to know whether eggs will experience high supply or high demand in Europe when he buys the initial future or option contract. In this way, commodities can be a risky investment, because they are prone to natural disasters and other events that no ordinary human can predict. However, there are always ways to mitigate risk. In each version of this scenario, the investor chose futures which required the market to behave in unusual ways. It should be noted that investors can choose to invest in commodities with a high volatility ranking to increase their chance of windfalls, but that this strategy can also backfire and result in tremendous losses. Many commodities have low volatility rankings, and will therefore perform in a fairly predictable way. Additionally, there are so many ways to invest in commodities—including a yield curve approach, where an investor buys the same type of commodity with different future maturity dates—that an experienced investor will probably be able to balance any high volatility commodities with steadier performers. An investor must also consider the benefits of the specific financial tools he uses to acquire the commodities, such as “futures” versus “options.” Each poses its own risks, from the amount of the initial investment to the agreed sell date. Depending on what financial institution the future or option is purchased from, an investor may be subject to variable margin fees. While each of these topics will be explored in-depth in subsequent sections of this guide, an investor should know this: while risk is certainly a factor in investing in commodities, the nature of the investor and the amount of information he is willing to gather will largely determine how successful his investments are. In other words, commodities can be a wonderful investment, but a certain degree of risk is always part of every transaction. Nothing, unfortunately, is ever fully guaranteed. Although any individual commodity can experience different rates of growth, taken as a whole commodities can also be described as experiencing bull cycles and bear cycles. These cycles are brought about not only by the market forces of supply and demand, but also certain policy decisions by major governments, especially when it comes to tangible specie standards in relation to national currency fluctuations and valuations. Because so many governments base the value of their currency against the value of the currency of other nations, as opposed to a tangible specie standard, both gold and silver do not play the same kind of pivotal role in international economics that they did forty years ago. Despite this, the fluctuating value of some major commodities, like gold and silver, can influence how other investors perceive the overall commodities market. If gold has an exceptionally high price per ounce in a given year, the commodities market can be said to be flourishing, whereas if the price drops for several years in a row, financial analysts can sometimes use this to point to the emergence of a bear market. The difficulty with describing the performance of so many different commodities as experiencing an overall growth or retraction is that there are always exceptions to the rule. The best predictor of a predominantly bull or bear commodity cycle tends to be the size of the population relative to the amount of production. The period of the 1980’s to roughly 2000 has been described as a bear market for commodities because demand growth was not very high. Starting in about 1999/2000, several nations that previously had virtually no measurable interest in metals began aggressive manufacturing operations, dramatically increasing the demand for previously unremarkably valued metals such as zinc and copper. This sudden interest in metals correspondingly drove up the demand for gold and silver, as investors interpreted the demand for zinc and copper as the beginning of a bull commodities market. Additionally, as the manufacturing operations continued to expand, the increased economic prosperity brought about a new group of consumers, who began to buy other commodities like eggs in much greater numbers. The increased investment activity, combined with actual tangible demand by new populations, subsequently resulted in an actual bull commodities market. Therefore, the quantity of certain commodities is frequently a predictor, or at least an indicator, of these bull and bear cycles. Oil, for example, can frequently swing the commodities market one way or the other based on how much of it is produced, simply because so many other industries depend on the energy that oil inadvertently produces. As an example, a steep drop in oil production which results in higher gasoline prices can affect the transportation of agricultural commodities. This produces artificial constraints in supply and demand, and can impact the overall prices of other commodities. However, because oil frequently experiences fluctuations in its supply, many experienced commodities investors and traders anticipate certain seasonal fluctuations, and may build these anticipated supply / demand shifts in to their investments. These secondary effects are therefore a somewhat predictable part of the overall market. However, it should be noted that since many commodities indexes make their money based on expectations of performance, an extreme shift in the production of the amount of oil or another high profile commodity can correspondingly cause the futures market to either perform up to or below expectations. A completely unexpected rigorous drop in the production of oil may trigger a bullish market, whereas oversupply tends to saturate the marketplace, creating a bear market. However, although certain high profile commodities can influence these cycles, the commodities market is varied enough so that only truly major global events can significantly impact demand. Even in the case of a major global event, such as a tsunami, one sector of the commodities market may fall, while another may rise. Some economists have argued that the economy itself generates these cycles, based not only on major global events and supply and demand, but the very nature of investing itself. Certain economic theories, such as the theory of Kondratieff cycles, have attempted to describe the complex nature of the global economy as experiencing longer-form cycles that can be interpreted as a series of booms and busts, triggered by certain behaviors. The Kondratieff Cycles are a 45 to 60 year economic wave encapsulating the tendency of a capitalist economy to experience stagnation, growth, overinvestment, boom and finally bust. Proposed by a Russian economist in 1925, the cycles were linked primarily to the gold standard and deflation. Because of this basis, the cycles do not have many supporters in the current economic age due to the prevalence of shorter business cycles and the general global lack of a baseline currency standard. The wave is supposedly easier to visualize internationally than in any one national economy, due to the globally integrated nature of trading and commodities. The cycle can be broken down into three major stages: stagnation due to oversupply, which leads to lower interest rates and the second stage of speculative boom, followed once by the third stage, an economic crash and corresponding financial crisis. The oversupply in the economy is usually infrastructural, such as railroads, or even real estate. After the market fails to grow, the lowering of interest rates fuels speculation in a new area or market, such as the stock market. After too many people have invested in this new potential region of growth, this market experiences a spectacular crash and subsequent financial crisis, leading to stagnation yet again. In Nikolai Kondratieff’s initial description of the phenomenon, he attributed importance to the incidence of technology as a way out of the downward cycle. According to this theory, the 20th century witnessed one complete Kondratieff wave from 1930 to 1990. The depression of the 1930’s was finally invigorated by the war efforts of the 1940’s, leading to a period of prosperity during the 1950’s and 60’s, an accelerated growth period in the 70’s and 80’s, and finally a downward spiral in the 90’s. The second Kondratieff wave would have therefore begun in the worldwide recession of 1990-91, with peaking effects supposedly visible somewhere between 2005 and 2015. However, the global financial crisis of 2008 seems to go against this theory. If the Kondratieff cycles are accurate predictors of boom and bust cycles, then a major flurry of speculative investment will occur within a few years of the crash. As of 2010, the world is still largely experiencing stagnation, with some countries, including the U.S., in danger of experiencing continued deflation. Commodities are a vital part of the Kondratieff cycle in that they track global deflationary trends. When significant commodities experience rapid deflation, this usually signals an imminent worldwide financial slow down. However, this theory is complicated by the rapid generative nature of technology and the simultaneous existence of so many high powered economies. When Kondratieff initially crafted the theory, Asia was not nearly as economically significant to the worldwide economy as it is now. Additionally, technology has dramatically increased the speed at which it completes a cycle. Where technology in the 20th century took longer to reach a saturation point, technology in the 21st century can reach saturation points far more rapidly, but then generate a second wave of innovation which quickly supplants the first. This rapid generative ability results in a de facto sector of innovation that so far shows little sign of slowing down. These complicating factors do not necessarily negate the existence of Kondratiev cycles, but may call for a slight modification to reflect different realities of an age in which advances in technology occur at a far more rapid rate. Regardless of whether the Kondratiev cycle should be shortened or lengthened to reflect new technological trends, the cycle can be useful in helping economists and government leaders take charge in situations where all evidence points to potential deflation and subsequent collapse. While some variance is necessary in any economy, extremes can be avoided with intervention and occasionally the deployment of some strategic investments. Paired with the general outline of stagnation, investment and the financial crash of the Kondratiev cycle, the study of commodity values in particular can help economists get a clearer view of what is going on in the global economy. Those interested in trading in commodities have the option of doing it online. There are several different platforms which offer different levels of support, depending on the experience of the individual user. Each platform allows users to trade in options and futures. It should be stated that before any trader begins trading with real money, he should practice using sums of ‘practice’ cash to see how quickly profits are made and lost. Every software platform reviewed here allows traders the option of practice runs with actual market input to get a better feel for this process. IB Direct Razor Trader Futures is an excellent site for those investors who do not have a substantial amount of experience with commodities trading. In addition to offering a free trading demo, the site also allows members to chat with an online rep, and has an archived learning center which can quickly bring novices up to speed. The online software also provides instant quotes and market research, and allows users to trade futures and options. This platform is best for beginners primarily because it is so heavily focused on educating the user. The online service Trader’s Platform is excellent for intermediate to advanced investors. This particular site provides users with numerous specific online software options depending on the types of trade they wish to make. The software is hosted by Optimus Trading Group, which provides commissions to active traders who take full advantage of the software suite. Trader’s Platform is recommended for professional traders because it is specifically designed to sync with commonly used electronic trading platforms, including the CME (Chicago Mercantile Exchange) and pit traded markets. While support is available, the software is geared for a rapid set-up and execution. Trader’s Platform also provides access to knowledgeable support staff, either via phone or through online instant messaging. Clear Trade is geared primarily toward professionals, although intermediate users and even beginners who learn quickly may benefit from this software suite. Clear Trade provides users with automatically updating links from several acclaimed commodities broker newsletters. While these pronouncements should be taken as advice and not as strict guidelines, they can be helpful for traders who enjoy receiving periodic updates on the status of the market. Clear Trade boasts an extensive list of archived material in several different formats, from videos to charts to simulated trading sessions that allow new users to get a feel for the fast paced and often seemingly complex series of trades that categorizes a typical commodities trading session. Additionally, Clear Trade has several pre-programmed commodity specific programs, such as Soybean and Grain, or Euro and Currency trading. Some additional popular platforms to consider are TD Ameritrade's ThinkOrSwim, OptionsXpress, Options House, TradeStation, TradeKing & Interactive Brokers. Each investor should choose the platform based on how it appeals to them personally. The platform should be easy to read on a screen, and should have indicators that make sense to that individual. Luckily, most of the top platforms have free trial versions that will allow users to quickly sample the basic layout and presentation of the software before subscribing or otherwise committing to a fully paid version of the software. For experienced traders, comparing the amount of compensation that a given platform offers will be a key factor in deciding which platform to ultimately use. These rates will vary depending on the particular time frame in which the individual investor chooses to begin, their level of experience, and the financial acuity they demonstrate in their initial trades. Commodity Indexes track a variety of different commodities. Certain commodity index funds, such as the Power Shares DB Commodity Index, make money by investing in derivatives of commodities, or the likelihood that a commodity will either increase or decrease in value. When a broad based commodity index has a ‘bad day,’ this is because the futures of commodities that it chose to invest in did not perform according to expectations, which lowers the overall value of the index itself. The Dow Jones-UBS Commodity Index reflects futures price movements only, and deals with set commodities traded on U.S. exchanges, excluding zinc, aluminum and nickel. These three metals are traded on the London Metal Exchange only. The Dow Jones-UBS Commodity Index Total Return is a measure of the Dow Jones UBS Commodity Index, and should be read as a measure of return on fully collateralized futures positions. In mathematical terms, the latter Dow Jones Commodity Index is the measure of the second derivative, while the former is the first derivative. Investing in indexes is different from trading directly in commodities. Instead of a straight-ahead tangible investment, investing in an index requires suppositions about the likelihood of a certain price fluctuation over a set period of time. These price fluctuations and the period of time on which they may or may not occur also varies, so that each ‘investment’ is essentially a highly complex mathematical bet that nominally takes into account the actual price of the commodity as a factor, and can occasionally be categorized as being more speculative than definitive. Because commodity indexes can influence other trading activity, their actions can occasionally rouse accusations of causing inappropriate price fluctuations. As an example: in 2009, the U.S. Senate Permanent Subcommittee on Investigation launched an investigation into commodities index investment and its impact on wheat futures versus actual wheat prices. In essence, the committee reported that exaggerated wheat futures investing had artificially raised the prices of wheat futures far beyond the actual reality of tangible wheat prices. A separate report conducted by Vanderbilt University refuted this assertion, noting that such a statement is inherently difficult to prove due to the numerous factors that influence prices, including the frequent convergence of wheat futures and wheat prices. However, this should not necessarily dissuade investors from becoming involved in the market. An investor can pick a commodity index that has a fairly solid track record and purchase options or futures of likely overall market performance. Investing in an index will usually produce a higher rate of return for the individual investor, simply because the index has been structured to survive market ups and downs. Most investors choose an index as a quick method of diversifying their portfolio without having to spend a substantial amount of time researching individual performance of a given commodity. Additionally, investing in a commodities index is almost a surefire method of avoiding inflation, a problem that afflicts most stocks, bonds, and other traditional assets. In terms of choosing a specific index in which to invest, selecting an index that has been on the market for several years is the best way to secure an excellent return and provide an inflationary hedge. Examples of commodity exchanges include the Chicago Board of Trade, the Chicago Mercantile Exchange, the Kuala Lumpur Futures Exchange, the London Metal Exchange, and the New York Mercantile Exchange. The United States has five of the top ten commodities exchanges in the world. Each of these exchanges was founded in order to provide greater liquidity to sellers and buyers, but the exchange in of itself does not have any value. In other words, it is a forum for trade, and while it does have certain guidelines that must be followed by its members, the exchange itself does not advocate one particular trade over another. The principal purpose of commodities exchanges is to develop these regulations, and keep the market from becoming too chaotic. Those who trade on the exchange floor must be members. All major decisions that affect the running and regulation of the exchange are generally made by a vote of the member body. The exchange itself is divided into administration, which is operated by a paid staff, and the actual trading floor itself, which is populated by traders. The traders proceed to make bids and offers on trading cards. Bids are made by buyers, and are comprised of a specific sum for a specific quantity of a particular commodity. Offers are made by sellers, and list a price for a specific quantity of a commodity. Both bids and offers are announced in the open air of the central trading ring. When a bid and offer match, a trade is officially made and recorded by the pit recorder. This information is posted on a large board; in the modern electronic era, this information is immediately sent out to all affiliated online traders as well. All trades must be resolved before the start of the next trading day. All of the information related to the trade, including the parties involved, the price of the trade, and the time period in which the trade was made, are recorded on the card. Most commodity exchanges work by allowing traders to exchange futures contracts, or cash forward contracts, as they were initially known. The procedure is the same for a futures contract as for a commodity. In this case, the futures bid and offer must incorporate sell dates and the price at which the trade will be made in the future. Certain commodities can only be exchanged in certain exchanges. The top two U.S. commodities exchanges are the Chicago Board of Trade and the Chicago Mercantile Exchange, which together comprise roughly 80 percent of all U.S. trading volume. The second largest exchange in the world is the London International Financial Futures and Options Exchange, or LIFFE. Most exchanges in the U.S. are regulated by the Commodity Exchange Act of 1974. ‘Futures’ are an agreed upon sell date for a quantity of a particular commodity at a particular time. ‘Options’ are similar to a ‘futures’ contract, with the exception that a buyer is not obligated to act on the terms of the initial agreement, but still retains the right to do so if he chooses. New investors should be aware that there are also ‘futures options’ and ‘futures contracts,’ which are two distinct entities. To use traditional terminology, futures options are essentially options, and futures contracts are essentially futures. Because this terminology can be used interchangeably, it’s a good idea to be aware how these concepts are described when first entering into the trading market. Futures are slightly riskier than options, primarily because futures require an action, whereas options allow for more equivocation and adjustment to current market trends. Naturally, the greater risk involved, the higher the potential return, or conversely, the greater the potential loss. It should be noted that buying options usually incurs a premium, which is the fee that the trader earns from the transaction. This premium is based on the relative riskiness of the transaction. Those transactions that will almost certainly prove to be profitable carry a correspondingly high premium; those that are likely to fail will usually have a lower premium. Options are usually classified into ‘calls’ and ‘puts.’ A call option indicates that an investor believes a particular commodity will rise in value over a set period of time. A put option, on the other hand, indicates that the investor feels that the commodity will lower in value over a set period of time. In either case, a ‘strike price’ is set at the time of the purchase of the option. The investor has the choice of closing or converting the option before the set expiration date. Many investors choose to allow their options to close, instead of converting them. They then collect the subsequent profit. Futures, on the other hand, are less flexible. Both the buyer and the seller must provide the agreed commodity at the pre-agreed price, regardless of market changes or fluctuations. If 6,000 bushels of wheat are promised at $5 per bushel over a year period, the terms can’t change until the futures contract is fulfilled. These two positions are usually known as the ‘short’ and the ‘long’ position. The short position is held by the provider of the commodity; the long position is held by the receiver of the commodity. A futures contract is valued against the actual performance of the market, and settled in cash at the end of each trading day. As an example, if the short position agrees to provide the wheat at $5 a bushel, but the price of wheat on the market changes to $6, the short position has just lost a dollar on each bushel of wheat compared to what he could earn on the open market, while the long position has just saved a dollar on each bushel of wheat compared to what he could buy it for on the open market. At the end of each trading day, each party will either have their account debited or credited depending on the performance of the market until the futures contract expires. However, the bulk of futures contracts do not involve the actual delivery of tangible items, but rather provide a means of taking a financial position on a potential transaction. For many commodities, depending on the position that the investor adopts and the subsequent performance of the market, futures contracts are an excellent way of guaranteeing a source of income. For several decades, oil and its associated petroleum products have been the dominant source of energy for the globe. However, increasing consumption combined with a finite supply of oil are working together to produce a future where new sources of energy are needed. Several types of energy, including wind and solar power, have been advocated as being able to make up for the eventual short fall in oil production. Unfortunately, both of these methods of energy production still have a few kinks to work out before they will operate smoothly. In the case of wind power, the turbines themselves are currently constructed in such a way that they must be placed in areas that have a high occurrence of natural wind. There are very few areas on the Earth’s surface which are perpetually windy, constraining the amount of turbines that can produce electricity. Additionally, wind turbines can be exceptionally noisy, making it difficult to install them near residential areas without bothering the people who live nearby. Solar power is currently in a very crude stage of development. The photovoltaic panels that make up a typical solar panel work by absorbing the sun’s energy and then changing it into electricity. Unfortunately, solar panels currently are only able to produce a very low percentage of energy compared to their total surface area. At least a dozen or more solar panels are needed in order to supply power to a single family home. 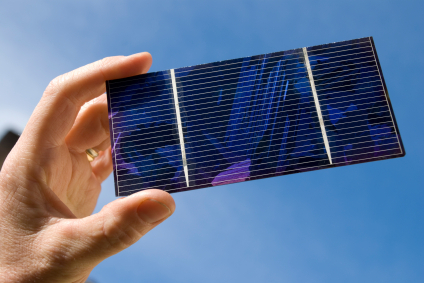 However, photovoltaic technology is constantly evolving. There is no reason that with concerted effort, the photovoltaic conversion will continue to produce higher yields of usable energy. Many countries, including both the U.S. and Morocco, are investing or already have invested in large scale solar energy fields in deserts such as the Mojave and the Sahara. By staking out land specifically for each of these energy developments, the countries are boldly stating their intent to refine and hopefully increase the yields of this technology. It should be noted that as of 2000, roughly 6% of Morocco’s electricity was being provided by solar panels. Meanwhile, nuclear energy has always been controversial. Although the majority of nuclear power plants function without any errors or malfunctions, whenever something does go wrong, it tends to do so on a major scale that ruins the surrounding community for years. In the 1980’s, several nuclear power plant disasters, including Chernobyl in Russia and the Love Canal in the U.S. Northeast resulted not only in the loss of life, but also produced devastating political consequences for the technology. As an energy resource, the addition of new nuclear power plants will remain a hard sell for the next several decades at least. In terms of automobiles, there are several companies including Tesla Motors which are manufacturing all electric vehicles. The idea of electric hybrid vehicles, which use part gas and part electricity to power themselves, has become popular with major automotive manufacturers including Toyota, Chevy, and Nissan. These hybrid vehicles have sold well, but they rely on lithium ion battery technology which has its own energy downsides. The batteries themselves are energy intensive to manufacture, and currently require recharging on a very frequent basis. However, much in the way of photovoltaic panels, the batteries have shown significant improvement from generation to generation. If the batteries continue to develop, there is no reason to believe that eventually they will be able to replace the need for gasoline altogether. Overall, worldwide energy trends are in a state of flux, and can be a boon for investors who enjoy the uncertainty of trading in an environment with so much promise and so little certainty. Because oil is now widely regarded as limited resource, there is very little doubt that the price will continue to rise. However, this does not mean that trading oil as a commodity is a foregone conclusion in terms of an individual being able to amass significant profits. This is partially because no one is certain precisely when the oil will run out, and also because there are so many other energy resources currently competing with oil that it is possible that oil may, at some distant point in the future, begin to become a secondary source of energy. 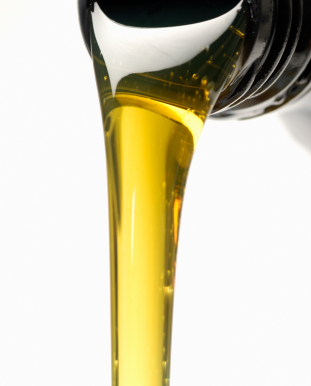 Those who trade in oil should familiarize themselves with the basics. Oil is sold in 42 gallon barrels. The price of oil refers to the price of an individual barrel, even though oil is sold per gallon on the open market. The Chicago Mercantile exchange now allows individuals to trade in 500 barrel installments, instead of the traditional 1,000 barrel contracts. At the New York Mercantile Exchange, individual investors may invest 5% on a 1,000 barrel contract. Additionally, there are commodities funds and pools that allow fractional investment. Both Oppenheimer and Pimco are commodities pools that offer this smaller type of investment. Increasing demand from India and China during the last decade has dramatically spiked prices. Both of these nations are currently in the throes of enormous economic growth, and will probably not slow down their consumption any time soon. The oil supply itself is currently limited to known oil fields, which are tightly controlled by agencies such as OPEC. Undeveloped oil fields are currently not as viable for use as once thought. Undersea drilling, for example, is exceptionally dangerous. The 2010 BP oil spill off the coast of Louisiana was at least the second spill of its kind in two decades, with another enormous spill occurring in the Gulf of Mexico in the late 1970’s. These types of oil spills are harmful not only to the environment, but also do not produce a reliable source of energy, especially when compared to land-based oil drilling operations. The equipment frequently breaks or malfunctions in the deep sea, and repairing and replacing this equipment, as demonstrated by the BP oil spill, is a months-long process that is still poorly understood. Relying on undersea drilling to sustain the world’s oil needs is foolhardy at best, and desperate at worst. The so-called ‘untapped’ fields in Alaska will probably not be developed because of political pressures to keep this part of the Earth unspoiled. Additionally, the territory itself is not necessarily ideal for drilling, simply because the weather is extreme and the landscape so fragile that any accidents or equipment malfunctions have disastrous effects on their surroundings, much like the BP oil spill. Those who are interested in trading in oil should pay close attention to the behavior of the economies of the developing nations outlined above, in addition to the energy development policies of industrialized nations that are now seeking alternative sources of energy. While the trend in oil prices appears to be headed upward, each of these factors will influence the percentage growth and rate of change of the price of oil. Additionally, conglomerates such as OPEC often artificially constrain the supply of oil in order to increase their profits. The complexity of these factors, in addition to the relatively recent ability of smaller investors to take part in oil trading, will keep the growth of this particular sector moving forward, but in uneven spurts. Larger economic pressures from other countries may also force certain developing nations to slow their growth, which could prompt a sudden drop-off in oil consumption, leading to a surprise halt to rising prices. This scenario is highly unlikely, simply because it is very difficult to completely discourage growth, especially when several billion people are already in motion. It is worth mentioning here primarily because the world is attempting to create a stable global economy. China’s unprecedented growth is threatening to overtake the U.S.’s economy, which could shift the direction of energy policy worldwide. Intriguingly, China has green energy policies which may actually reduce its consumption on oil after it has finished experiencing the tremendous infrastructural growth that is currently fueling its need for so much oil. Either way, oil will be a heavily desirable commodity for at least the next few decades. Eric Janszen's Peak Cheap Oil is a great read which highlights how oil demand may interlock with economic activity going forward. Natural gas makes up a significant portion of global energy consumption. In 2002, it accounted for 23% of the world’s energy consumption. However, especially when compared to oil, natural gas is a far more volatile commodity. Unlike oil, natural gas has fewer storage facilities, meaning that when the major supplier experiences a short fall, there are far fewer reserves to help ride out the gap. However, natural gas is generally not impacted by as many complex worldwide forces as oil, making the determination of the price a far simpler affair. Natural gas is produced from both oil fields and natural gas fields, which are located primarily in Western Asia and Eurasia. Natural gas produced from oil fields is referred to as casing head gas. The South Pars Gas Field in Iran and the Russian Urengoy field are considered to be the two largest fields in existence. Qatar is estimated to have some 25 trillion cubic meters of natural gas reserves, while Russia, Iran and Qatar have approximately 58% of all known natural gas reserves. In the U.S., major natural gas suppliers include Allegheny Energy, Nicor, and Chesapeake Energy. Natural gas is measured in cubic feet, and generally is referred to in billions of cubic feet. The price of natural gas tends to be determined by how much is in storage, measured against total demand. Generally, when the overall amount of natural gas dips, the price soars; correspondingly, when the overall amount of natural gas in storage rises, the price falls. The United States releases a report every Thursday afternoon (Friday afternoon if the previous Monday was a bank holiday) put out by the Energy Information Administration listing the total amount of natural gas in storage. This figure will be in billions of cubic feet. In 2006, two major hedge funds went out of business due to poor decisions on natural gas trades. Both MotherRock Energy Fund and Amaranth hedge funds were destroyed by poor choices in natural gas futures. MotherRock lost $200 million dollars; Amaranth lost $3 billion. The lesson to be learned from these particular disasters is that investing in natural gas requires the formulation of a solid risk management strategy. A diverse portfolio is the best method of guaranteeing investment success. This volatility with trading in natural gas is partially due to the comparison between the total natural gas storage figure that market analysts estimate, and the actual figure released by the Energy Information Administration. Prior to the release of the official figure, market prices trade based on what analysts say. When the actual figure is released, the difference between the two has a major impact on the actual price. For example: if traders expect a rise of 60 billion cubic feet, but the rise is actually 20 billion cubic feet, the price of natural gas will actually increase substantially over market predictions, making it a rewarding day for natural gas traders. If, however, the increase is substantially more than traders expect, such as 100 billion cubic feet, then the price will fall because there is far more than expected, making it a bad day for a natural gas trader. In the past, a barrel of oil tended to sell at roughly 8 to 12 times as much as the equivalent amount of natural gas. As of March 2009, this ratio has increased to approximately 23 times as much. This is partially due to natural gas suffering a significant price drop in March 2008 due to problems with demand. Currently, there is so much natural gas that U.S. stockpiles are completely full. However, natural gas is not completely immune to complex international relationships. India and China may begin to utilize more natural gas in the same way that they have already utilized more oil. 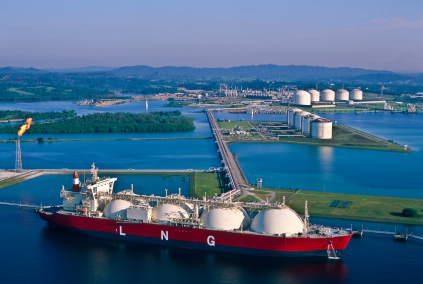 Additionally, there has long been the potential for something called LNG, or liquefied natural gas, which would require building an entirely new infrastructure for storage, and would impact the supply and demand ratios of natural gas. No one is entirely certain how this would impact the market, adding yet more volatility to an already highly unpredictable commodity. Trading on alternative energy trends is far more difficult than trading either oil or natural gas, simply because so little is known about them. In fact, many experts are currently arguing whether some alternative energy trends can even qualify as commodities. Part of this difficultly lies in specifically classifying the alternative energy into familiar commodity language. Solar panels, for example, can be described as being ‘a price per watt cog.’ Trading in solar panels therefore means they must be described in terms of how many watts they generate. As discussed previously in this guide, solar panels are currently in a growth period where each new generation of photovoltaic panels produces more electricity than its previous generation. Trying to trade in solar panels as a commodity is therefore complicated by the fact that the technology is still not uniform, or even at its zenith in terms of production. However, because they are still developing, alternative energy trends are best traded in those areas where they already have a strong market presence. In India, for example, large solar photovoltaic arrays, such as the proposed Jawaharlal Nehru National Solar Mission, make trading in solar panel futures a more realistic venture. Because solar panels can either be bought privately or installed by large governments, the market has yet to find a good stable center. With increased interest from large governments around the globe, solar panels show promise as a viable commodity, as soon as a uniform watt production standard is adopted. A similar problem confronts wind energy. How does one effectively measure wind energy? The production of watts seems the easiest answer, but as discussed before wind energy has a somewhat scatter shot approach to production. Certain areas can produce high amounts of wind energy, while other areas can produce very little. The turbine technology itself will undoubtedly undergo more refinement as problems with the technology, such as the amount of noise it produces, motivate the producers to streamline and redesign their equipment. Luckily, wind energy is getting increased attention from major players. General Electric has announced plans to spend $200 million for new wind turbines in Brazil as part of a larger $500 million investment in new energy research in that country. This type of development is very promising for interested and adventuresome traders, although it holds virtually no certainty. The GE center could either produce tremendous amounts of wind energy, or only manage the somewhat lackluster results seen in other countries. As commodities, both wind energy and solar power currently hold enormous potential but very little actual traction. For those investors with long term vision, this could be viewed as a wonderful opportunity to buy into a market which, in a few decades, will produce incredible returns. When viewed from a year to year futures perspective, however, both wind energy and solar power have fairly low returns, simply because they are both still developing their full roster of capabilities. To make trading in these areas worthwhile, investors should be prepared to stay on top of all developing news stories, and be prepared to champion innovation at the cost of reliable profits or an impressively performing portfolio. 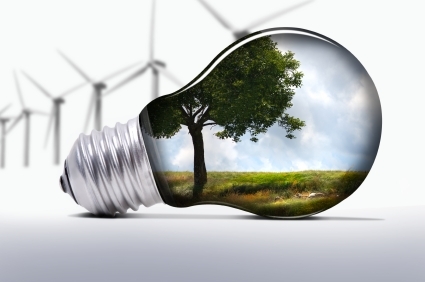 Researching the top energy companies in the globe can be an exceptionally interesting affair. This is due to the constant developments in energy use and, in some cases, energy mis-use. In 2009, for example, the top ten energy companies in the world included BP. Very few investors would have predicted the enormous oil spill a year later which sunk the company into financial turmoil, due in part to the justified but heavy financial penalties placed upon it by the U.S. government. While BP is still a major player, it has many hurdles to overcome to realize its full profit potential. In essence, any investor who chooses to research energy companies should take into account how quickly the world situation can change, and how these changes can impact the standing or ranking of a particular energy company. While oil spills can tarnish the public reputation of a company like BP, these events may or may not ultimately impact its long term performance among the financial community. An excellent example of this is the oil company Exxon Mobil, which despite receiving a deluge of bad press and public opinion after the 1989 Exxon Valdez oil spill in Alaska, has continued to prosper as one of the top energy companies in the world. The emergence of new, powerful markets and nations, such as those of China and India, also has a tremendous impact on what companies qualify as top energy produces. PetroChina, for example, was ranked as one of the top energy companies in 2009. Royal Dutch Shell, GdF Suez, Statoil, ConocoPhillips, Chevron, BG, Occidental, RWE, and Halliburton also qualify as some of the top energy companies in the world. The best way to begin the research is to first identify a specific sector of energy. Fossil fuels, for example, comprise a slightly different market than alternative fuels, or electricity. Enormous companies that claim world dominance may not be the sort of energy companies that make the best investment or trade for an individual, depending on the expertise and experience of that particular individual. If an investor has an unusual amount of experience with electricity, for example, it will make very little sense for that investor to research BP, which is primarily an oil company. However, if the investor’s aim is to simply identify those companies that constitute the largest energy companies in the world, then it is relatively easy to call up lists online that name off the usual suspects, whose brand names dominate street corners and penthouse boardrooms the world over. Whatever direction the research eventually takes, all potential traders should be careful to factor in the issue of timeliness. Any lists compiled will only be as good as the time period in which they are assembled. As natural gas trades demonstrate, power multi-billion dollar companies and firms can be toppled overnight by poor business decisions. While many energy companies have a certain longevity due to years of experience in their fields, there is no such thing as a guarantee of stability in commercial and business affairs. Any list will undoubtedly expire before long. Therefore, an investor or potential trader would be wise to restrict his research to no more than five energy companies. By delving deeply into the history of these individual companies, the trader will have a better idea of how that company is likely to fare in the future based on previous business decisions. Naturally, the research should also take into account the current management team, their years of experience on the job, and their overall outlook and direction. In some cases, a long-term management team will be unable to adapt to a more competitive marketplace, while in other cases a company helmed by a relative newcomer will have very little traction in a market dominated by a much older mindset. Additionally, seemingly small scale changes in trading policies, such as allowing smaller investors access to oil futures, gradually affect the decision making process of the upper tiers of energy companies. Many corporations attempt to placate or reward their shareholders and stakeholders. When the makeup of this group gradually changes, the policies and decisions of the management team will invariably begin to adapt to the new demographic. Frequently, the top companies that manage to survive for decades have a tight inner circle of shareholders and stakeholders who share the same mentality. In times of transition, however, companies do well to incorporate newer modes of thinking and take in new partners. The 21st century has so far been categorized by extremes, and a reaction to constantly shifting trends in technology and energy use. The top energy companies will likely be those that manage not only to respond to these constantly changing trends, but also provide some kind of guidance or direction for them. Gold is traded by the troy ounce, usually on the New York Mercantile Exchange. Gold can be traded in futures contracts or as a futures option. The gold that is traded is in bullion form; i.e., unlike jewelry, which utilizes different ‘karats’ of gold, traded gold is conceptually as pure as possible. However, no gold is ever 100% pure, due to the reality of how gold forms. The history of gold trading is long and storied. It has never lost its intrinsic idea of value, which is to say that every culture that has ever encountered it has always placed some form of worth upon it. However, in the commodities market, gold has experienced extensive peaks and valleys depending on the overall perceived bear or bull market of the commodities sector in general. As an example, in the early 1980’s, gold traded for a few hundred dollars an ounce, whereas in 2010, gold was trading for roughly $1300 an ounce. Although inflation plays some role in the literal difference between these two prices (in other words, $300 dollars in 1980 would be equivalent to far more in 2010 dollars), a perceived boost in commodities, or bull market, helped push gold higher over this time span. Additionally, gold is a valued trading commodity because it is an excellent hedge against inflation. In many ways, gold is the essential commodity, remaining powerful and desirable despite the fluctuations of outside markets and governments. The increased value of gold on the commodities market in recent years may be due to a feeling of increasing uncertainty among many people in regards to the choice of many governments to use purely paper currency in lieu of a solid standard for their currency. While the gold standard was previously in place as a way for governments to guarantee the worth of their currency, this standard was abandoned after the amount of debt and corresponding currency actually outstripped the known supplies of gold in the world. Gold, therefore, occupies a unique position. In some ways, it is a kind of bullet-proof form of value should world currencies rapidly deflate. Simultaneously, it can never actually replace currency because it is too rare. Gold’s future value will therefore heavily depend on how it is perceived against the relative strength of world currency. Should world currency suddenly develop solidity and the ability to more effectively regulate its peaks and valleys in comparison to other world currencies, the value of gold as a hedge against inflation will not be as valuable as in a time of extreme fluctuation and uncertainty. However, even in a scenario where paper currency manages to stabilize, gold will always possess a certain unquantifiable allure. Those who are interested in investing in gold futures should take care to monitor financial reports. Because futures contracts are limited, securing a price at which significant profit can be made will require understanding the miniscule fluctuations of the market, and the likelihood of gold managing to either retain its high value at a certain time. As with all commodities investment, there is no one method of accurate prediction. It is as much an art form as an investment tool. Like gold, silver is traded in troy ounces, and generally has a standard contract size of 5,000 ounces for most trading exchanges. Unlike gold, silver has a far lower price per ounce, making it eminently more affordable for those metals traders who are new to the market. Although silver has experienced a significant up tick in its pricing in the last decade due to an overall bull commodities market, it has a traditional price of that hovers somewhere around $15 an ounce, as compared with gold’s $1300 dollar an ounce average. Price fluctuations in silver are measured in ‘ticks,’ which has a minimum baseline of $0.005 per troy ounce. In order to make investing easier, many futures and options allow investments of 5%. As an example: a 5,000 ounce allotment of silver at $15 dollars an ounce is equivalent to a $75,000 dollar investment. This is obviously quite substantial, and makes the need for smaller increments more understandable. Trading silver, as with trading of virtually any commodity, requires opening an account with a broker that is registered with the Commodity Futures Trading Commission. An interested trader may then trade online via one of the software platforms already reviewed in the relevant section of this guide, using ‘practice’ money to begin the process. Like gold, silver’s primary appeal is that it is largely resistant to traditional inflationary swings. Although it has a much lower value than gold, silver makes for a good, steady earner for those who are willing to invest for a long time. Options may be especially beneficial as opposed to futures contracts for those who are interested in learning how silver performs over time. Because it is not as highly valued as gold, silver tends to have a slightly more predictable trajectory, although, as has been stated numerous times in this guide, nothing is ever absolutely for certain. It is safe to note that silver will also inevitably have an appeal for centuries to come, and therefore makes an excellent investment for those who are willing to track its progress carefully. Silver is generally traded on the COMEX, or Commodity Exchange of New York, which is a smaller section of the New York Mercantile Exchange. Silver futures can also be traded on the Chicago Board of Trade. These two exchanges are now owned by the Chicago Mercantile Exchange. Traders also have the option of buying ‘e-mini’ futures, which are contracts dealing with 1,000 ounce allotments of silver. Traders may be able to buy these e-mini futures on margin. Again, buying on margin can pose its own difficulties, especially if an unpredictable turn suddenly plunges the trader into enormous, unexpected debt. All traders should be prepared to lose all of their initial investment. Those looking to make quick profits should not invest in commodities if they can’t afford to lose money. Generally, silver futures can be purchased for a maximum of almost 2 years, or 23 months, in advance of their required sell date. Platinum, a highly refined but gorgeous metal, is one of the most expensive commodities on the market, trumping even gold. The average price of platinum is approximately $1600 a troy ounce. South Africa is currently one of the single largest producers of platinum. Platinum’s high value is based partly on its natural rarity, and partly on an unprecedented amount of demand for the metal to be used not only in jewelry, but in consumer goods as well. Platinum has an exceptional durability. Egyptian funeral coffins have been discovered which bear platinum ornaments with perfect luster and finish after nearly 3000 years underground. Platinum does not tarnish, and is one of the hardest yet aesthetically pleasing metals known to man. Additionally, platinum can be used in numerous industrial processes because it transmits energy exceptionally well. All of this is important to know when attempting to get involved in trading platinum. Each of these factors influences how valuable platinum will potentially become, especially as different sectors of the economy continue to grow at remarkable rates, requiring even more platinum for their various processes. Where gold has already essentially proven its value, and is a known quantity in terms of both its beauty and industrial, aesthetic, and practical uses, platinum is still displaying incredible versatility and ability in a variety of unexpected applications. This potential for growth makes it an incredibly exciting metal in which to invest and trade, because the market for it is still being defined. In terms of price horizons, no one can honestly say how far platinum will go. Currently, the automotive sector is one of the heaviest users of platinum, with a 43% usage rate. Jewelry utilizes roughly 23% of the world’s supply, while petroleum refining is responsible for an additional 3%. As has been discussed in this guide, shifting energy policies may require the design of entirely different automotive model, which could in turn either place a greater or lesser demand on platinum use in automotive applications. Platinum has also become increasingly popular for use with computers and other technological devices. This particular area is poised to continue to grow in the next few decades, especially as nations such as India and China develop a larger and more affluent consumer class who will be able to afford more personal computing devices. Because technology has increasingly become more personalized, the demand for platinum could easily outstrip even the most wild and seemingly inflated estimates. However, a general worldwide economic retraction could just as easily cause platinum prices to drastically fall. Unlike other precious metals which are more insulated from industrial shifts, platinum’s value is more closely tied to industrial output. As has been seen in the last decade alone, major industries, such as the U.S. car industry, can suffer enormous downturns, only to rebound in spectacular fashion. Since platinum’s value is heavily pegged to the performance of these and other industries, any investor or trader must keep a watchful eye on certain key sectors in order to better estimate the profitable likelihood of a particular futures contract or option. Although steel is a metal, it is not traded in the same way that precious metals are traded. Instead of troy ounces, steel is traded via metric tons. The size of the steel itself can vary from 100 millimeters to 200 millimeters when it is classified in bar form. Generally, steel must be refined from raw iron ore. The specific recipe and refinement process varies depending on the type of steel: there is dirty steel, shear steel, Bessemer steel, blister steel, crucible steel and electric steel, among others. However, the refinement process is labor intensive and requires resources such as water and carbon. Steel futures are traded on six exchanges: the London Metal Exchange, the Dubai Gold and Commodities Exchange, the CME Group, the Shanghai Futures Exchange, the Indian National Commodity and Derivatives Exchange, and the Multi Commodity Exchange of India. China, the U.S. and Japan are currently the largest producers of steel in the world. India is ranked eighth. India’s production of steel accounts for approximately 3% of the world’s total. Steel futures have become a reality since 2008, although it was not without some degree of political difficulty. There were numerous objections from producers that increased future contracts would artificially inflate the market. Luckily, the types of price discrepancies and disruptions that can occur as a side effect of rampant speculative futures trading have not yet materialized in the steel futures market. The London Metal Exchange has been vigilant in guiding steel futures. In 2010, steel futures received additional volume, increasing to roughly 1,228,890 metric tons. The price of steel has stabilized after two major trading contracts, the Mediterranean and the Far East, were merged into one comprehensive, global steel contract. There are also now three delivery points in the United States: Chicago, Detroit and New Orleans. However, steel is extremely susceptible to swings in industry and construction. Because steel is primarily used in large buildings, when construction grinds to a halt, then the price of steel correspondingly drops. While new building projects have suffered a downturn with the larger economy in 2008, several countries are still experiencing unprecedented infrastructural growth, fueling their need for increased steel. As a building material, steel has a long future, and in this way makes a reasonable commodity investment. However, because the steel futures market is still so relatively young and untested, there is no track record for how well it will perform over the next few decades. While the exchanges have kept the price of steel futures at a steady and improving pace, small fluctuations and dips are beginning to appear which reflect an overall global slowdown. Traders who anticipate a large building surge would be wise to invest in steel futures, although once again the ideal strike price is always something of a mystery. At this time, no one anticipates that steel would cease to be manufactured. However, because steel does require relatively large amounts of resources in order to come into being, savvy traders anticipate that steel manufacturing process may have to experience significant retooling or refinement in order to fit into a globe which will undoubtedly be more concerned with ‘green’ manufacturing processes. Global warming and climate change issues play an important role in many countries, and can directly influence market behavior. Market behavior, of course, is based on the choice to consume a certain type of metal or resource. If steel is deemed too difficult or environmentally costly to produce, it may experience a drop in value as countries opt to find more ecologically friendly materials. Aluminum is one of the most popular and lightweight industrial metals on earth. Luckily, it is also heavily prevalent; it is the third most abundant element found on the planet. A typical aluminum futures contract is 44,000 pounds, with a tick value of $0.0005, or 0.05 cents per pound. Aluminum has a daily price limit of $.60 cents, and is traded primarily on the COMEX of the NYMEX. Aluminum futures contracts are awarded at the beginning of each month of the calendar year. Like steel, aluminum’s popularity is heavily based on consumption patterns. Unlike steel, aluminum is used in numerous ‘softer’ consumer products, including food and drink cans, but can also be found in cars, airplanes, trains, and other modes of transportation. Aluminum’s popularity as a metal for use in transportation modes tends to be a very significant factor in determining how much prices will rise or fall. Airplane manufacturer Boeing, for example, is drastically impacted by changes in aluminum prices. Car manufacturers still tend to prefer steel over aluminum, but aluminum has been making inroads into automotive manufacturing for several years. As car makers attempt to streamline their vehicles and create lighter weight vehicles that use fewer resources, aluminum is poised to gain in popularity as a go-to material. Aluminum’s primary nature, which is comprised of its inherent flexibility and tensile strength, in combination with its exceptionally lightweight property, also makes it a highly adaptable material for use in construction projects. Aluminum also retains these qualities even at very low temperatures, making it ideal for extreme building conditions. It also conducts electricity and heat with about the same degree of success as copper. Many building projects are currently seeking ways to creatively incorporate materials that emphasize a different approach to shapes and curvature. Although steel is an excellent structural material, aluminum can be both structural and sculptural, which is a major benefit to intriguing new architectural designs. Many architects across the world utilize aluminum for this purpose. Aluminum is also used extensively in ordinary doors and roofs. Because of the price limitations on aluminum, it is a fairly steady commodity with low volatility. Generally, people in developed countries consume far more aluminum products than people in developing countries. Because several large countries are currently experiencing development, the demand for aluminum should remain fairly high for the foreseeable future. Aluminum shares another characteristic with steel in that it takes significant resources to form its final product. Aluminum has to go through three major stages of production and utilize other oxides in order to attain its distinctive blend. In this way, it has many similarities to steel, which requires a relatively extensive refinement process. This can raise warning flags in terms of a long-term future as a desirable commodity in a world where greener refinement techniques are not only desirable but required. Since there is no currently no global accord on what constitutes good industrial policy, aluminum will undoubtedly continue to prosper as a steady commodity investment for several years to come. Long thinking investors and traders would be wise to factor in the possibility that aluminum may, at some point, have to undergo a different and potentially more costly method of refinement. Copper, like aluminum, is traded in pounds. A typical futures contract for copper on the COMEX of the NYMEX is 25,000 pounds. The tick rate for copper is 0.5 cents per pound. Unlike aluminum, copper does not have a daily price limit. Future contracts are awarded at the beginning of each calendar month. The four largest producers of copper are BHP Billiton, Freeport-McMoRan Copper and Gold, Codelco, and Xstrata PLC. Copper’s most valuable attribute is its conductivity. Used primarily as electrical wiring, copper has made possible numerous infrastructural expansion projects, in addition to wiring power plants and other large energy producing institutions. With the emergence of numerous large scale infrastructural projects in Asia, copper shows no signs of experiencing lesser demand any time soon. Its ubiquitous nature as a conductor practically guarantees that it will continue to experience robust growth for several years to come. However, copper is also used in several other industries, including construction and in jewelry making. Copper is also responsible for a great deal of nutrition in the world, as it is essential for plants such as rice and wheat to receive the energy they need to grow. Humans need copper as part of their daily intake in order to remain healthy. In this sense, copper is one of the most valuable commodities on the market. However, copper is generally traded in the futures market for use in more industrial applications. While its properties in electrical wiring have already been discussed, copper is also an excellent material for use in an increased telecommunications presence across the globe. Copper wiring in computers and other systems is vital. Copper is also used in applications for equipment that will be used in space and for highly technical medical equipment. As the medical industry becomes increasingly sophisticated and relies more on the internet to connect doctors with different specialties and equipment around the globe, the durability and reliability of copper becomes more important, too. One of copper’s finest properties is its recyclability. Old copper wiring can easily be remade and repurposed into new copper wiring. Copper is also a vital component of the newly emerging alternative car market. Depending on how successful the alternative car movement is, copper could become even more popular than it is now as it becomes increasingly integrated into automobile production. Copper also forms an important component of numerous metal alloys, including the all purpose alloy of brass. In this sense, copper is a metal that is responsible for several other vital metals that help the modern world function. Copper will always be useful in one form or another, regardless of what specific purpose is found for it. So far, the greatest threats to copper futures trading in terms of price fluctuations have been supply strikes by miners and natural disasters. The leading producers of copper are Australia, Chile, Canada, and Indonesia. Investors and traders should carefully monitor the working conditions in these countries to anticipate possible price fluctuations when making futures contracts. When researching the top mining companies in the world, investors and traders must take into account several factors. Because mines are highly regionally specific, the success and longevity of a mining company will largely be based on how well it is able to maintain its access to a particular site, and how well that particular mine is maintained. Mining accidents can frequently occur, causing delays in production or, in some rare cases, the closure of an entire mine. Some of the top mining companies in the world include Rio Tinto, Chinalco, Barrick, BHP Billiton, Vale CVRD, Alcoa, and Xstrata. Rio Tinto has been thriving due to its relatively expansive mining operations. Most successful mining companies generally do not focus on only one commodity, although it should be noted that a company such as Alcoa concentrates primarily on mining raw aluminum. Rio Tinto is also a successful mining company because it understands how important the financial market and the corresponding performance of its commodities are to its longer term business strategy. On its home page, Rio Tinto provides links to financial reports before it provides links to the actual materials it mines. Regularly updated tallies of the worth of the commodities it provides also adorn the front page. Essentially, the Rio Tinto model should be applied to any mining company: does it provide its share holders and stake holders with the financial data needed to make financially beneficial and accurate decisions? BHP Billiton has a similar approach to Rio Tinto, providing quotes and share holder services on its home page. Additionally, BHP Billiton pursues an aggressive strategy of expansion and addition. Because of its enormous size, the company can quickly acquire other mining companies and operations, thereby cementing its position as one of the world’s top mining companies. Much as this guide advocated investigating the management strategies of top energy companies, the same principal holds true for mining companies. In a sense, the two types of companies have the same goal: to provide a usable commodity at the best possible price for a wide range of consumers and markets. Both industries face challenges in terms of environmental supply and consumer demand, although metals and minerals face different obstacles in their acquisition. Alcoa is unique in being a top mining company without boasting significant product diversification. Alcoa has literally cornered the market on aluminum products, offering a suite of fabricated aluminum products at the ready, in addition to raw aluminum. However, because aluminum is such a pliable metal with so many different applications in both the industrial and domestic spheres, Alcoa’s ranking as one of the top mining companies is not surprising. It is equivalent to a single company controlling most of the fresh water on the earth. Obviously, this company would be enormous without having to offer variations on its product. These major mining companies are currently trying to acquire each other, or at least broker some kind of agreement that allows them to share profits, as opposed to standing in direct opposition to one another. In the aluminum vein, Chinalco, which is a Chinese mining operation, is trying to work out deals with Rio Tinto. Chinalco is also trying to expand its operations beyond aluminum into other minerals and metals. Organic commodities differ from metals and other so-called ‘hard’ commodities in important ways: they are far more likely to spike and drop depending on consumer demand and growing seasons, and are therefore less insulated against market forces. 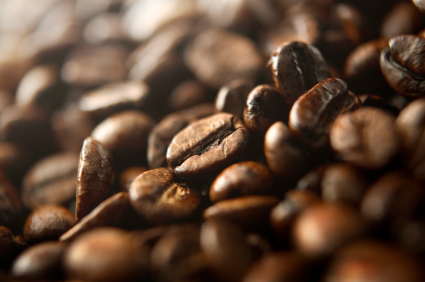 Coffee is traditionally traded in contract sizes of 37,500 pounds. Futures contracts are awarded in March, May, July, September, and December. The tick size is 5/100 cent per pound, which for every 1 cent gain, results in $375 per contract. An individual coffee tree usually requires 3 to 5 years to begin producing coffee beans. Each tree can usually produce roughly enough beans to fill a traditional coffee can during one full growing season. Columbia, Vietnam, Indonesia and Brazil are the primary coffee producers, with an average worldwide production of roughly 120 million kilo bags of coffee a year. Cocoa is traditionally traded in contract sizes of 10 metric tons, which is equivalent to 22,046 pounds. Futures contracts are awarded in March, May, July, September, and December. The tick size is $1.00 per metric ton, which results in $10 dollars for each contract. No usable cocoa can be produced until at least five years after the coca tree has been planted, and then it takes roughly 10 years before the tree can produce at its highest possible level. They need the equivalent of a tropical rain forest either 20 degrees above or below the equator in order to flourish. Because of these environmental requirements, cocoa trees are restricted in their growth patterns. Cote d’Ivorie, Ghana, and Indonesia are the top producers of cocoa beans, with an average annual production worldwide of roughly 3 million metric tons. Each of these countries is not renowned for its peaceable civic affairs. Additionally, potential cocoa traders should be advised that black pod disease and ‘witch’s broom,’ which is a type of fungus, frequently afflict cocoa trees and halt production. Currently, the best months for harvesting cocoa are between October and January. Sugar is traditionally traded in contract sizes of 50 long tons, which is equivalent to 112,000 pounds. Futures contracts are awarded in March, May, July and October. The tick size is 1/100 of a cent per pound. Unlike cocoa and coffee, sugar itself is facing fairly intense competition from a variety of artificial or modified sweeteners, such as those made from corn syrup. The artificial sweeteners market has luckily tapered off in terms of popularity due to medical concerns; however, corn products currently are wrecking havoc with sugar prices. The top sugar producing countries include Brazil, India, China and Thailand. Again, potential investors should carefully watch the political developments of these countries to accurately predict when and how shortfalls in production may occur. Heavy rains can also destroy sugar cane crops. This is of special concern in Brazil, which experiences enormous precipitation each year. 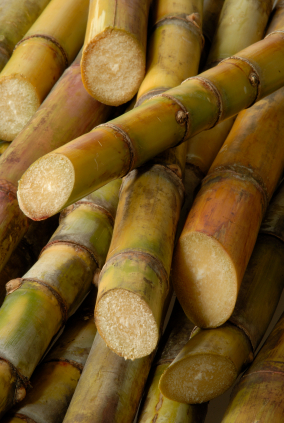 However, unlike cocoa, sugar cane can be grown in wider bands of the earth, resulting in higher yields, and an easier supply flow, even when one crop is destroyed by unavoidable weather fluctuations. Orange Juice is traditionally traded in contract sizes of 15,000 pounds, and is always classified as frozen concentrated orange juice in order to be deliverable. Futures contracts are awarded in the months of January, March, May, July, September, and November. The tick size is 5/100 cent per pound. Brazil and the U.S. are the primary producers of orange juice, with Brazil having recently ascended to the title of world’s number one orange juice producer. As featured in the 1983 movie “Trading Places,” the greatest threat to orange juice futures are freak freezes in typically warm places. In the United States, Florida is a major producer of orange juice, while in Brazil, the Sao Paulo area is the primary producer. Potential investors and traders should always watch the weather report for the likelihood of freak weather patterns. Luckily, these two major growing places are opposed geographically, meaning that there is rarely an interruption to the worldwide supply of orange juice. Corn is traditionally traded in contracts of 5,000 bushels. Futures contracts are awarded in March, May, July, September, and December. The tick size is one quarter of a cent per bushel, which translates to $12.50 per contract. Corn is grown primarily in the United States, which produces 10 to 12 billion bushels a year during the harvest months of October and November. These limitations make the futures market for potential investors and traders more predictable than other markets, although as with all organic crops, the incidence of weather, especially excessive heat or flooding, plays a heavy role in final production tallies and corresponding prices. 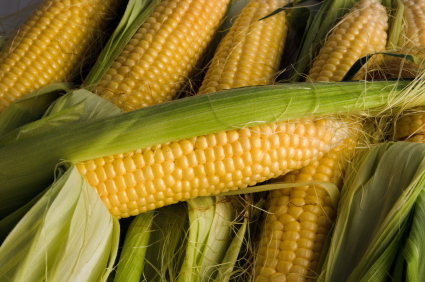 Corn is used in several different ways, both as a direct food product, as an indirect ingredient in other foodstuffs including corn syrup, and as fuel, in the case of ethanol. In this way, the demand for corn is high, since each sector is far enough apart to guarantee demand year round. Corn, oddly enough, has become more popular as certain sectors of the economy seek alternative energy sources. The viability of ethanol as an alternative fuel is debatable, but this does not prevent the possibility from temporarily raising demand for corn. Wheat is traditionally traded in contracts of 5,000 bushels. Futures contracts are awarded in March, May, July, September, and December. The tick size is one quarter of a cent per bushel. U.S. is the major worldwide supplier of wheat, and is divided into three main ‘brands’ of wheat. Soft Red Winter Wheat is traded at the CBOT, while Spring Wheat is traded at the MGE. Hard Red Winter Wheat is traded at the KCBOT. Wheat futures can occasionally get overheated, resulting in periodic volatility that frequently fools newcomers. Buying in January is advisable, as prices are usually lower than in August. Wheat is a huge contributor to brewing industries and livestock feed. Again, these two industries are far enough apart that demand should remain relatively constant, even if one industry experiences a shortfall. 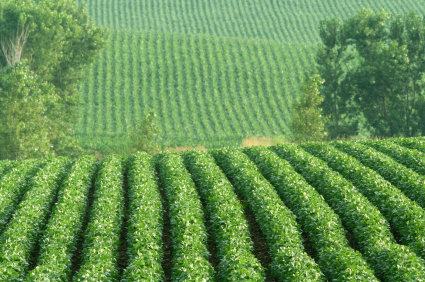 Soybeans are traditionally traded in contracts of 5,000 bushels. Futures contracts are awarded in January, March, May, July, August, September and November. Much like corn and wheat, the tick size is one quarter of a cent per bushel. Soybeans are produced primarily in the United States, and are the central ingredient to a plethora of foodstuffs after they have been crushed and rendered into oil. They are also a highly volatile commodity in terms of pricing, especially during the summer months. As with other foodstuffs, weather plays a huge role in how they are priced. Certain unscrupulous individuals will attempt to take advantage of newcomers by offering ridiculously high soybean futures. Potential investors would be wise to monitor the market for several months before investing or actively trading. Livestock is traded in contracts of 40,000 pounds. Traditionally, futures contracts are awarded in the months of February, April, June, August, October, and December. The tick size is equivalent to 0.00025 per pound. The major cattle market is based in the United States. On the commodities market, cattle are divided into two different categories: feeder cattle and live cattle. Live cattle grow to an average size of 600 to 800 pounds, at which point they are transferred to a feed lot and encouraged to grow to their full slaughter weight, which is usually about 750 pounds for a deceased carcass. Livestock are one of the most complicated commodities because they are living beings which consume other foodstuffs in order to grow to full commercial weight. The price of soybeans, corns, and wheat can directly impact how many cattle are raised, depending on how extreme the shifts in prices are. Weather and food shortages can also have a direct impact on the growth and survival rate of cattle. A drought, for example, will wreck havoc on an individual cattle lot, and can potentially affect the industry if it is widespread. Additionally, diseases such as mad cow can afflict significant damage on the overall stock. If the weather is too hot, the cattle will not feel like eating, which will correspondingly reduce their overall weight. It should be noted that there are several large events that investors or traders should watch. The “cattle on feed” report has a huge impact on livestock futures. This report essentially details how many cattle are being sent to the feedlots, which will result in their eventual slaughter and corresponding value as ‘feeder cattle.’ February is a generally the lowest purchase month for new futures. 1. Pick a commodity or commodities that are interesting. No successful commodity trader gets there purely because of his understanding of abstract mathematical formulas. Commodities are impacted by real life events. Even the steadiest commodities will experience fluctuations. The only way to have some notion of what is around the bend is to be a full participant in the process. By choosing a commodity that is interesting, a trader or investor will be able to stay motivated to keep track of developments that are affecting that particular commodity. 2. Register with a licensed and affiliated broker. No matter how well informed any trader is, no one will be able to interact meaningfully unless that trader is registered with a licensed broker. Each exchange house requires that all traders are members, or are affiliated with members of the Commodity Futures Trading Commission. 3. Be prepared to lose initial investments. For those who are attempting to trade and invest in commodities for the first time, being prepared to lose money while learning how quickly the market can change and shift will save potential heartbreak and help individual investors avoid a personal financial crisis. Using trailing stop losses can help lock in gains and protect investors from some of the downside risks. It is far more important to be profitable than it is to be right all the time. 4. After experience has been gained, invest in indexes. After an individual investor or trader has learned the ropes of commodities trading, investing in larger financial institutions, such as indexes, can yield surprisingly profitable results. However, this should only be attempted after significant experience has been gained by the individual investor. Commodity bull and bear cycles usually occur over long periods of time. However, some key commodities can frequently provide clues as to what may lie ahead in terms of the direction of the market. The price of gold and silver is usually taken to be an indicator of the overall health of the commodities market. Additionally, oil prices have a heavy impact on how the commodities market is perceived. If any of these main commodities suddenly experiences a price hike or price drop, investors and traders should take note that the market is probably going to experience a fairly significant change. Because these are tied into industry and general economic perceptions of fiscal reality, they are considered to be extremely important market indicators. Each year, innumerable books, blogs, and magazine articles are devoted to the intricacies of trading in the futures market. The internet has played a particularly vital role in the development of the commodities market, and continues to generate enormous amounts of constantly updated information on potential futures positions. Individuals who wish to seek out additional information and resources about commodities trading are encouraged to explore the resources offered by the Commodity Futures Trading Commission, which regularly publishes texts detailing their studies of trends in energy stocks. Websites such as Bloomberg.com frequently have intelligent, highly informed web articles that can help investors seek out the information they need to make crucial decisions. 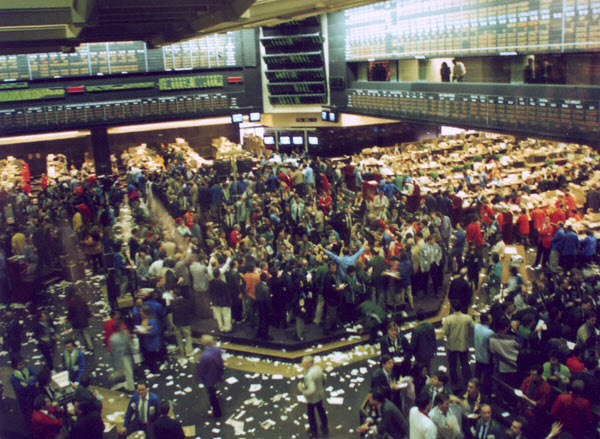 Several major exchanges maintain websites that provide up to the minute information on trades and other financial transactions, including the Chicago Mercantile Exchange at www.cmegroup.com/. Keeping up on changing regulations in terms of how trades are managed is also vital to any investor or trader. These websites post their new rules as they change. The best resources are frequently the people who have experienced the market first hand. By contacting brokerage firms either through the phone or via an online software platform, an interested individual can schedule an interview with a learned broker to truly understand how this incredibly complex and versatile system works. The key to any informational quest is to enjoy the experience of discovery and be unafraid to ask questions. Most people, when asked an intelligent and informed question, will be happy to give an interesting and fully rounded answer. The grouping of futures positions by one particular trading entity in order to determine the combined value and potential future speculative limits. When a price discrepancy arises in a single commodity in two different markets, arbitrage is a way of capitalizing on this discrepancy by purchasing a commodity in the lower market and selling it in the higher market. A process whereby two parties ask a neutral third party to resolve a dispute for them. In this way, the two parties will respect the decision of the third party as being unbiased and inherently fair. Generally, the NFA handles commodities disputes. As long as the individual is affiliated with a registered member of the Commodity Futures Trading Commission, the associated person may handle customers, customer funds, or orders for an Introducing Broker, Commodity Pool Operator, or Futures Commission Merchant. The incidence of an option having an equal strike price to the current market value of the actual commodity. This refers to the difference between the agreed to futures price of a particular commodity and the actual current cash price of the commodity. Frequently, a basis is used to settle cash payouts. A market that displays an overall downward trend in pricing. A bear market is always occasion for glum news and lethargic trading action. A tricky financial maneuver wherein a party sells a futures contract only to purchase the deferred contract in order to profit from the lower sales price. The stated price at which a buyer hopes to acquire a particular commodity. A licensed individual or financial entity that handles financial transactions, including futures contracts and futures options. A broker can either have ordinary, unaffiliated general public clients, or can work on behalf of other brokers or financial institutions. A market that displays an overall upward trend in pricing. Bull markets generally cause extreme excitement, and in some cases can lead to inflation and overinvestment. However, while it lasts, a bull market is a happy, upbeat affair, resulting in money for practically everyone. Another tricky financial maneuver, similar to a bear spread, wherein a party buys a nearby futures month and then sells a deferred month in order to profit from price differences. An arrangement where two so-called opposing inter-delivery spreads share the same center delivery month. A term referring to bids on futures options where the purchaser believes that the commodity will attain a higher strike price in the future months. As with all options, the buyer is not required to act on this strike price. This individual clears all trades, and is usually part of a clearinghouse. The individual is also always a member of a futures exchange. This order removes a prior order by the same customer. (also known as cost of carry or carry) In abstract terms, especially for commodities such as interest rates, a carrying charge reflects expenditures undertaken on behalf of maintaining the complex financial instruments. For tangible commodities, this charge usually reflects storage fees and insurance costs for the actual commodity. Any physical commodities which are not consumed and remain in storage at the end of the marketing year. Oilseed and grain frequently are left over, and therefore require a lift into the following year. Also known as actuals. The tangible commodity, not merely the contract on the commodity. This contract is a guarantee of the immediate or future delivery of the commodity in question. An actual physical location where the commodities are traded, as distinguished from a trading floor. An example would be a livestock yard, as opposed to the pit at the Chicago Mercantile Exchange. When futures contracts and futures options finally expire, the participants can choose to settle the contracts via cash instead of actual physical commodities. Also known as technical analysis. Charting is essentially a graphical display of data in the form of charts or graphs that allow traders to plot out potential future movements of a commodity based on its past performance, total volume, and other factors like open interest. The data that goes into the charting can take a significant amount of time to compile. Much like it sounds, a circuit breaker helps keep the market from financially overheating by halting trades setting price limits on exceedingly high volume intra-day market sessions which either show exceptional growth or exceptional losses. Generally, this is performed on a daily basis, and allows clearinghouses to rectify all their records and make any necessary margin adjustments, whether owed or owing. Another way to think of a ‘clear’ is a kind of massive checkbook balancing performed on all trades and transactions. Technically a separate part of an exchange market, but a vital member all the same, clearinghouses keep track of all margin fees and payments and frequently act as a safe third party for both buyers and sellers, guaranteeing that all trades are performed according to the appropriate rules of the marketplace. The clearinghouse is also responsible for regulating delivery of commodities, settling all accounts to the satisfaction of the rules, and ultimately reporting all trade data. The individual who is ultimately responsible for making sure that everyone lives up to their agreements, especially when it comes to customers of a particular financial institution or company. The clearing member is also described as being a member of the exchange’s clearinghouse division. Also known as the settlement price, this is the final amount of money that will be exchanged between buyer and seller. A span of prices at which various trades were conducted right at the very end, or close, of the market. The fee a broker receives for completing a transaction. Usually this fee is paid by the customer directly to the broker. A universal good or concept that has the same recognizable value regardless of nation, region, or currency. Because a commodity will have the same value wherever it appears, it can usually be used as an indicator of global economic health or prosperity, or conversely, as an indicator of troubled markets. A federal law which puts forth and authorizes the basic structure of federal regulation of all trades on futures. Established in 1974, this body oversees all exchange markets, and provides the administration and general upkeep of the Commodity Exchange Act. Also known as a Pool. This form of investing allows multiple parties to ‘chip in’ to one commodity in order to make the minimum contract quantity. The method is useful for smaller investors or those individuals who wish to diversify their portfolio without expending significant amounts of cash. The person in charge of overseeing the commodity pool funds, and making adjustments as necessary. This individual is paid to spout useful advice about the feasibility of investing in any particular futures commodity contract or option, and frequently has the additional power of being able to make changes to a customer’s account. Generally, a qualified CTA has years of investing experience of his or her own, and can therefore offer helpful insights and tips into how to best to approach a new offer or bid. The Futures Exchange Merchant is responsible for sending this statement to the customer advising them of the number of contracts and the price of the contracts that were traded in a given period. Grouped around a particular commodity, contract markets are picked by the Commodity Futures Trading Commission to handle all futures contracts. This trade board is also frequently referred to as an exchange. Also known as the Delivery Month. Essentially, the month at which the commodity specified in the futures contract is scheduled to be delivered. The somewhat unpredictable but occasionally pleasing trend of futures contract prices and actual commodity market prices to approach each other as the futures contract is due to expire. A term referring to the ability of an individual to cover their put option or short call by actually buying the commodity or futures contract. While each crop year is based on the individual agricultural commodity it is linked to, crop years are defined by the time between harvests. In the Northern hemisphere, new marketing years tend to begin in October or November, and end somewhere in the summer months of July or August. An estimate of expected yield, actual planted acreage, and anticipated production of various agricultural commodities, with production statistics from previous years thrown in for comparison purposes. The report is prepared by the U.S. Department of Agriculture. A clever way to mitigate losses, cross-hedging is the practice of using a futures contract to cover a risky cash commodity for which there is no futures contract. The two commodities generally have to be related in terms of the trend of their pricing for the strategy to be effective. Also known as a reverse crush. In a move that appears to cancel itself out, an investor or trader purchases soybean futures and then simultaneously sells soybean oil and meal futures. A ratio that measures the worth of the current market price of the debt instrument to that of the initial coupon. An order that expires on the day it was entered due to a lack of closure. An individual who finishes a complete trade, including bidding and offering, in one day’s trading session. A failure to complete a futures contract, either by not fulfilling a margin call, or not delivering or receiving the goods as promised. The easiest way to conceptualize of a deferred delivery month is that it is much farther away than the so-called ‘nearby’ futures delivery months. Also known as contract grades. Rules designed by the exchanges to guarantee certain marks of quality and of procedure when delivering commodities as part of a fulfilled futures contract. The deliverable grades frequently are accompanied by potential discounts or premiums for those commodities that do not meet the desired grade as described in the futures contract. The official term for the transfer of a commodity from the seller to the buyer of the futures contract. Many buyers and sellers prefer to settle delivery via cash only. The delivery of the commodity may take place at any time during the described delivery month. An exchange establishes the physical boundaries where a certain commodity may be delivered. An excellent example of this is steel futures and commodities, which recently had three additional ports in the U.S. added to its official list of delivery points by the London Metals Exchange. In math, the symbol that represents the rate of change. When applied to commodities, delta generally represents the change in option premium prices. Frequently, delta is used to represent the probability that the option will ultimately be priced exactly at the real market rate once it comes into maturity. One of the fundamental governing principles of all market trade, the law that describes how many people desire a particular product, and how that demand either increases or decreases price. In math, a derivative is based on the rate of change of other formulas. In commodities trading, a derivative is a financial instrument which essentially bands together several separate values taken from commodities, other debt instruments, even index fluctuations, and then forms a tool that can be priced in such a way to minimize or hedge against other risks or investments. A Futures Commission Merchant is occasionally the member of more than one Self-Regulatory Organization, prompting the group of affiliated SRO’s to decide which among them shall be ultimately responsible for the usual tasks of smoothly running the FCM. The NFA frequently is selected for all FCMs that are not part of an exchange. The same commodity occasionally has differences in price depending on the grade, class, and delivery location. These differences are described as differentials. This document is occasionally required from CPOs to their customers, and should provide a description of their performance, fees, and general business strategy, especially in regard to how they approach trading and other market policies. A discount can be literally applied in the case of a commodity that fails to meet a certain grade standard, or it can be used as term to describe different futures that are trading at a lower rate than a previous future. also known as a Managed Account. An account that is controlled by a broker or Commodity Trading Adviser, but is not technically owned by them. The authority to take action on these accounts is usually granted via a written power of attorney process by the initial owner of the account. Econometrics utilizes mathematical and statistical models with real economic data to validate or disprove economic theories and help formulate or solve basic economic problems. A broker is not required for the placement of an electronic order; however, a system affiliated with the official trading or exchange houses is required in order to make the order go through. Neither bearish nor bullish, the equilibrium price is instead the ideal balance between the market price and quantity of a commodity, where the supply and demand are exactly even. A way to describe a futures trading account if all available positions were offset by the actual contemporary market price. A term describing the status of United States dollars that are currently deposited in a bank outside of the jurisdiction of the United States. This institution can either be a foreign bank, or an affiliated institution of a U.S. bank that is technically in another country. Essentially, the foreign currency unit per dollar. This is needed in order to set or quote exchange rates. Also known as versus cash. 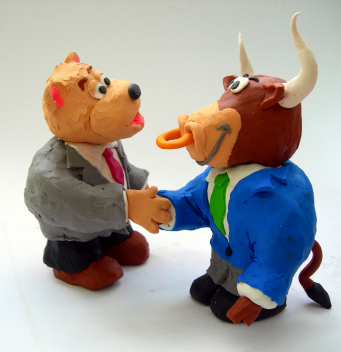 In the simplest terms, two traders agree to exchange futures in lieu of cash. Frequently, this type of transaction is entered into by two hedgers. The actual numerical amount printed on a certificate or other representation of value, or the original value of a debt. A way to describe the funds that are deposited by member banks at the Federal Reserve. Frequently, the funds are being loaned from one member bank to another. The interest rate for using federal funds. Created in 1913 by the Federal Reserve Act, the Federal Reserve System helps ensure that banks will always be able to protect their investors by keeping reserve funds on hand. When a bank is ‘insured’ by the Federal Reserve, all depositors who have funds less than $100,000 are guaranteed that their funds will be available for withdrawal. A method of comparing how much it costs to feed livestock to how much profit livestock actually produce at the time of their sale on the exchange. The term used to describe a price limit order initiated by a customer which must either be immediately accepted or turned away. A somewhat murky sounding term, there are actually only two types of financial instruments which deal with ways to structure debt and equity. A debt instrument is an another term for a loan with interest. When a futures contract requires fulfillment of the delivery of the commodity, the first day that this is possible is referred to as the first notice day. 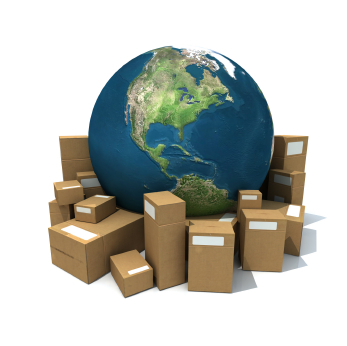 The delivery period is usually about a month in total, depending on the particulars of the contract. The seller gives this notice to a clearinghouse, which correspondingly informs the buyer on their behalf. The individual who physically cries out bids and offers on behalf of others. A member of the exchange who trades entirely for his own account in the pit. The Foreign Exchange market, where currency prices are adjusted in accordance to other currency values. It can also function as a general meeting place for international business, although currency evaluation plays a huge role in its day to day activities. This agreement binds a seller into delivering to a buyer. The particulars of the commodity, the delivery date, and all other specifics may be written to suit the individual needs of the occasion, and can incorporate unusual or special terms. Essentially, this term refers to a market that takes into account the differences in price between storage, interest and insurance depending on the particular delivery month of the commodity. While an FCM carries the account, the account is clearly named after the individual owner. Much like it sounds, this type of analysis is a predictor of potential price trends of a particular commodity or group of commodities based on past supply and demand history. Also known as a Wire House or Commission House. Somewhere between a broker and an individual, an FCM can buy and sell futures and options for clients, whether those clients are individuals or large companies. An agreement between a seller and a buyer to provide a certain commodity at a certain future date for a specified price. Unlike an option, both parties are required to live up to the terms of the agreement. The forum for buying and selling of futures and options. An exchange provides the regulations for the transactions carried on within its walls, but it does actually gain any financial benefit from these transactions. A kind of second derivative of delta. Essentially a way to measure how fast the rate of change changes, based on futures prices. The global electronic trading system. A method of storage and transport for physical grain supplies. Frequently, this terminal takes the shape of an enormous elevator which can interconnect with either ships or railroads. Usually measured in the period of one year, this is the combined value of all the services and goods that originate from a single economy. This is a formula that takes the GDP, adds it to all the money earned by the residents of that country from investments they made in other countries, then subtracts any income that was generated in the domestic economy by non-residents. Specific to soybeans, this measures the cost shortfalls or gains between how much the raw product actually cost versus the income generated from processed meal and oil. Essentially a letter of recommendation from an FCM to his or her clientele, assuring them that introducing broker’s actions will be handled by the FCM, should any financial or other responsibilities arise during the introducing broker’s dealings with those clients. In other circles, a hedger might be described as a ‘nervous Nellie.’ Essentially, this is a type of investor who has very little faith that his investments will actually match what he plans to pay for them in the futures contract. Hedgers survive by constantly buying and selling equivalent value commodities in order to ensure an even financial payout. The action of a hedger (see above). Much like a temperature reading, the price ‘high’ is recorded daily for each futures or options agreement. This is another version of the feed ratio, except it is concentrated principally on hogs and corn. In the vein of hedging, a horizontal spread is buying and selling the same type of put or call option, with the only difference between the two options being their particular ending month. Also known as intrinsic value. An option that is performing at such a rate that it is making money for the contract holder, whether the option is a put or a call. Unlike a guaranteed introducing broker, an introducing broker has to actually be responsible for minimum money requirements. The absolute minimum amount of money required from an investor or other active member in trading in order to buy or sell a future. Two separate but vaguely related futures markets that happen to share the same delivery month. They are related because the same individual sells one while immediately buying the other. Also known as intramarket spread. Much like an intercommodity spread, except that the transaction takes place on the same exchange market. Almost identical to the interdelivery spread, but in this case the transaction takes place in two entirely separate markets. Somewhere between a guaranteed introducing broker and an independent introducing broker, a plain introducing broker an do little but accept orders, and then pass on the bulk of the work to other registered individuals. An unusual disparity between two delivery months of the same commodity. Occasionally, commodities are ‘hidden’ in the storage of manufacturers and retailers, and can’t be easily counted or inventoried. These commodities are supposed to be part of the market, but may simply be impossible to accurately count. After this time, no further trading may take place on a particular option or future. With very little capital, an individual may actually be able to oversee or manipulate large currency amounts of a particular commodity. The customer may specify an order in which they limit the time period of the order or the price. Also known as Offset. Essentially, the action of buying or selling a contract or position. A term describing a market that has enough unclaimed properties and a corresponding number of sellers and buyers to facilitate trade without causing a significant increase or decrease in the overall price. A type of financial agreement between farmers and the government, which allows farmers to essentially take out money based on their expected crop yields of the following year. This refers to the money loaned to a farmer based on an individual unit of an agricultural commodity. An exchange member who is trading for his account only. An investor or trader who has purchased either futures options or futures contracts. Again, much like the weather, the lowest recorded daily price for an individual commodity. The minimum amount of money due from a customer to keep his claim on a particular option or future. Professionals who quietly handle client assets using the futures markets as an investment tool. A type of performance bond used by buyers and sellers to guarantee their participation and the subsequent performance of all parties involved in a futures and options contract. If a customer dips below the minimum margin amount, he may receive a notification from the clearinghouse. The official notification to buy or sell a given option or future when it is available, regardless of price. A professional method of comparing and contrasting price data, which is frequently utilized by traders. The individual who records all pit prices. This person usually receives a paycheck from the exchange. A daily accounting of the margin account of an individual client, based on the performance of the day’s trade. Much as it sounds, this is a measure of the total available funds in the economy. It is measured not only by flowing currency, but by all recorded bank deposits and savings. Essentially, a way to quickly calculate average prices by dividing by the number of days within a given time period. These are debts put forth by official government bodies, usually of a local or state, as opposed to federal or international, affiliation. The favored DSRO of most FCM’s. Also known as a Spot Month. The delivery month of a futures contract that is chronologically soon. A way of measuring each person’s relative value of participation in a commodity pool scenario. A method of measuring the net increase or decrease of all asset value. The reciprocal action to bidding. An account managed by an FCM under the name of the FCM, even if the account is actually owned by other individuals. The very first moment when trading can officially begin. An inverse to the closing range prices, the opening range is a measure of where prices began in the course of the trading day. All the futures and options that have yet to be fulfilled or offset. Even though all these contracts have buyers and sellers, interest is calculated based on their current position. The term for the sale and purchase of government notes, bills, and bonds. The action of the traders who verbally offer and bid on futures and options. Also known as a Holder. Basically, the individual who buys a put or call option. Unlike a futures contract which requires the buyer to purchase a commodity at a certain time, an options contract gives them the right, but not the obligation, to do so. The amount of money a seller receives from a buyer when an option is initially sold. The required amount of money from a futures investor or trader in order to enable him to participate in purchasing and selling futures. At expiration, a put which is higher than expected, or a call which is lower than expected, resulting in losses to the holder of the option. Similar to a ForEx market, an over-the-counter market is a forum for exchange for foreign currency and other items, except it does not take place in an official brick and mortar venue, but rather purely over telecommunication. No significant growth or decrease in value from the face value of a particular security. The physical area of an exchange where individuals verbally pitch bids and offers. Relatively visually unengaging, a point and figure chart demonstrates very minimal price changes, regardless of whether it’s a day or a year. The term for a financial commitment. The Commodities Future Trading Commission determines how many positions any individual may hold. Unlike a day trader, a position trader engages in longer form trades that may take several trading days to fully resolve. Usually refers to the price that a seller receives from a buyer at the time of a futures transaction, but can also refer to changes in grades or actual market prices that exceed the futures contract. A term describing how the market clinches the particular cost of a commodity. Set by the exchange, a limit in either growth or decline of the cost of a particular future. This is set by the customer, and determines the price at which a trade will occur. Usually a commercial bank or a dealer who has been vetted and approved by the Federal Reserve. Banks set this rate of interest for their favored clientele. A way to measure how much it cost to manufacture items during the prior month. The structure where market reporters record and deposit data on the trades happening around them. At the termination of a futures contract, an FCM sends out a statement to their customers detailing the total financial charges associated with this transaction. Generally, an option that expects a commodity’s price to decline from the market price to a lower specified strike price. The holder may or may not choose to exercise this option. Refers to a time-sensitive price for a particular commodity or contract. A way to compare the performance of a commodity over a set period of time by highlighting the low and high prices. The official rules that make possible the enforcement of the CEA. Essentially the reverse of European terms, whereby foreign currency is measured in terms of U.S. dollars. When damages of a civil nature occur, the Commodities Futures Trading Commission uses ‘reparations’ to recover these funds. Trading firms and even individual investors or traders must begin to report their open contracts to an authorized exchange if they exceed a certain pre-determined number. Generally conducted for the purpose of government bonds, an agreement between the seller and the buyer that the seller will repurchase the sold item at a later time. Those financial institutions that are a part of the Federal Reserve system must maintain a minimum amount of money on hand to meet their obligations as stated under the Federal policy. A threshold for prices which, while not officially demarcated, proves difficult to conquer. Exactly as it sounds, this policy reverses the crush spread by selling soybean futures and purchasing the meal and oil futures. A kind of negating transaction which involves both the buying of and subsequent sale of futures which balances itself out. As the usual DSRO, the NFA puts forth these series of guidelines to help administer its members. Literally, individuals who must scurry from the phone banks with orders from clients to give to the pit brokers for fulfillment. Much like a day trader, a scalper completes all his transactions in one day, although he tends to accumulate very small profits, and can occasionally attempt a multi-day trade. Also known as Customer Segregated Funds. Essentially, a way to categorize the money from customers as a separate entity from the money of the trading firm. The body responsible for ensuring that rules are followed during financial transactions. A way to balance any financial risk by selling those contracts that the holder believes will not fulfill their full value at the time of their maturity. An endearing nickname for an individual who intends to buy a cash commodity, or has in the past made a sale of futures. Part analyst, part hedger, a speculator buys based on their beliefs about what price fluctuations will occur in the future. A term that encapsulates the belief that a tangible commodity will be delivered immediately. A way of describing the difference between separate but similar commodities. A form of hedging on two separate but similar commodities, except that it takes place over separate delivery months, and the profit is only realized once the transaction is complete. Much like the hog corn ratio and the feed ratio, this method measures how much it costs to feed cattle on a specific amount of corn. A limitation on when a particular trade can occur based on a specific price. Also known as exercise price. The predetermined figure at which a contract or option becomes viable. A reciprocal and equally fundamental pair to the Law of Demand, the law of Supply dictates how supply influences a particular item and its corresponding cost. A fixed point, usually represented in a visual format such as a chart, where a potential futures value crash is averted due to enough volume purchases. An analytical approach to understanding the interaction of futures markets based on a variety of different mathematical tools and market factors. Also known as a Minimum Price Fluctuation. The agreed minimum at which a particular designated commodity can be traded. This is especially useful for commodities that trade in large contracts, such as cocoa or other agricultural products. In the same vein as stop limit orders and price limit orders, a time limit order is also designated by the customer. The order may only be sold during a limited time. A particular order will bear two distinct time stamps, relating to the time when it first arrived on the floor, and when the transaction was finally finished. Also known as extrinsic value. A tricky measurement based partially on faith and partially on market factors. Essentially, a buyer agrees to pay an additional amount of money for a particular option in the belief that over a certain period of time it will increase in its total value. Also known as a Naked Option. Essentially, an option that can’t be hedged or otherwise ‘saved’ by the last minute buying or selling of another future. The option can either be a put or a call. If the holder of an options chooses to exercise his option, he then must accept the terms of the futures contract that the option is based upon. The shortest term of all government financial instruments, with an expiration of one year. Generally, these bills are sold at less than face value; when the government buys them back, they are purchased at their face value, thereby giving the buyer incentive to purchase them in the first place. The longest term of all government financial instruments, with an average expiration date of more than 10 years. Between a treasury bill and bond lies the note, which has an expiration period between one and ten years. Also known as a variable price limit. This allows for exceptions to the minimum or maximum price restrictions set by the commodities exchange. Usually, these variable prices are limited to a period of one trading day, and are set in order to allow for the trade of one particular high quantity commodity. A daily or sometimes intra-day payment method that reduces potential substantial devaluations for clearing house members and clearing houses who hold risky positions or securities. This margin payment is owed by the members of a clearing house to the clearing house itself in exchange for keeping the risky securities, and protects the clearing house from a sudden financial collapse. An investment strategy which allows a trader to purchase two options that have identical expiration dates, but different strike prices. A measure of risk of the likelihood that a security or index will maintain a particular set value. A higher volatility generally corresponds to a much ‘riskier’ security, although the value of the security can either increase or decrease dramatically. A lower volatility rating is indicative of a steadier security with a relatively predictable growth pattern. The total number of shares traded during a set period of time. The sale of 300 shares during a trading session from one seller to a buyer will result in a total volume of 300. Also known as a vault receipt. A method of guaranteeing the quality and amount of a particular futures commodity without having to deliver the actual goods themselves. This type of receipt is frequently used when trading in precious metals. An institution which is linked by its communication methods, but may not necessarily have one central brick and mortar location, such as a series of bank branches. Also known as an option grantor or option seller. A writer is the individual who profits from selling options, or is the person who creates a trust made up of assets. The amount of money that will return from an investment. Can be measured in several different ways, and with different time periods, although it is usually measured annually. Compares interest rates of bonds with the same credit ranking but different maturity dates at a fixed point in time. Also known as Positive Yield Curve and Negative Yield Curve. The anticipated return rate for a bond held until it matures. Involves calculations of coupon interest rate, current market price, par value, and time to maturity.